Personal, professional, and legal excellence defines the firm. We also take an active role in our local community because the practice of law extends well beyond the courtroom. At Kevin Patrick Law, we are experienced with personal injury and know how insurance companies value a case. We, therefore, are able to anticipate their next move in order to get you the fair compensation you deserve. The firm is dedicated to assisting people with injuries resulting from various types of accidents. We have a team approach to every case that builds client relationships. Our clients know that we value each and every case. It’s not just another file. You can expect attention to detail and precision. When Kevin Patrick founded his own firm, he wanted to bring his community values into his professional workplace. As an avid volunteer for Habitat for Humanity, the Georgia Center for Child Advocacy, and Children’s Healthcare of Atlanta, Kevin believes that every person is truly important. 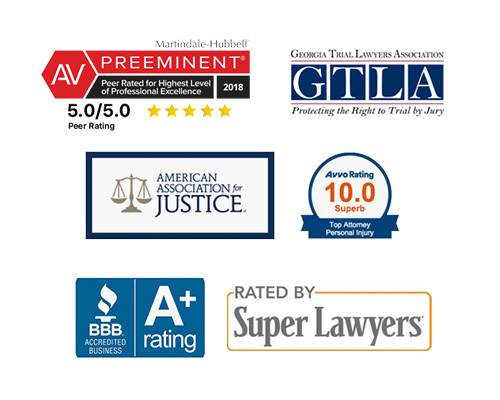 We bring that same viewpoint to every case, and we will work tirelessly for our clients. Our goals are focused on leveling the legal playing field against insurance companies and negligent parties. We work hard to keep clients up to date on their cases and do the little things, like returning phone calls and replying to emails. We treat our clients like they are our close family and friends.